"We are responding to a drone sighting at Heathrow," the airport said on its official Twitter account. A spokeswoman told AFP at 1835 GMT that flights at the airport, which handles 213,668 passengers a day, had resumed following the interruption. 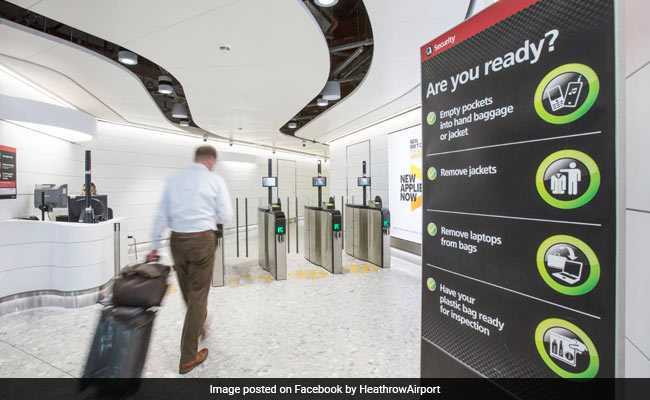 The Metropolitan Police said they were called at around 1705 GMT and alerted to "reports of a sighting of a drone in the vicinity of Heathrow airport". A statement on the airport's Twitter account earlier said: "We are responding to a drone sighting at Heathrow and are working closely with the Met Police to prevent any threat to operational safety. "As a precautionary measure, we have stopped departures while we investigate. We apologise to passengers for any inconvenience this may cause," it said. Arriving planes, however, continued to land at Heathrow. Transport Secretary Chris Grayling said "the military are preparing to deploy the equipment used at Gatwick at Heathrow quickly should it prove necessary". Some 81 airlines serving 204 destinations operate out of Heathrow, located west of London. Between December 19 and 21 drone sightings at Gatwick, Britain's second biggest hub, caused travel misery for tens of thousands of people after flights were suspended. That disruption came at a particularly busy time in the run-up to Christmas. It raised questions about the security of airports as well as the competence of police in charge after a couple were arrested and released without charge. The British army had to be deployed to the airport on December 20 after it grounded all flights. Gatwick has since said it has invested in anti-drone technology, while Heathrow said that it would do so. In response to the chaos at Gatwick, Grayling on Monday told parliament that drone exclusion zones around British airports were being extended and operators would have to register. Police will also be allowed to fine users up to 100 pounds (112 euros, $128) for failing to comply when instructed to land a drone, or not showing registration to operate a drone. Grayling said the disruption at Gatwick between December 19 and 21 was "deliberate, irresponsible and calculated, as well as illegal". The exclusion zone around airports is currently one kilometre (half a mile) and this will be extended to five kilometres.